To ensure lasting dependable service, RO-TAP® Sieve Shakers must occasionally be upgraded with parts that are long-wearing, durable, and cost-effective. 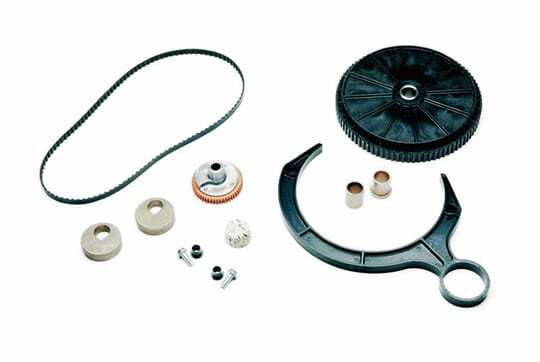 Maintenance kits are available for the replacement of parts due to normal wear and tear. W.S. Tyler – recommends the use of these kits as a means to minimize down-time due to minor repairs. 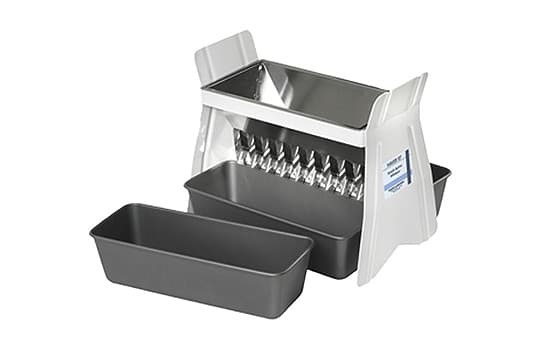 The purchase of a minor maintenance kit is also recommended with each new RO-TAP® Sieve Shaker. Designed to be used exclusively with Ro-Tap Sieve Shakers, operating noise levels are reduced from approximately 85 dB to 78 dB. The cabinets are fabricated with 18 gauge steel and a 1" metal faced, acoustic foam inner liner. 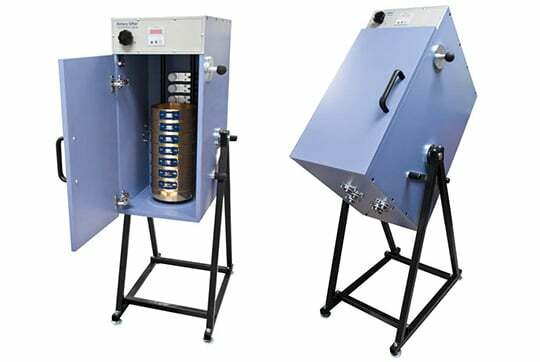 Specifically designed for RX-29 and RX-30 Ro-Tap Sieve and RX-812 Coarse Sieve Shaker, the Ro-Tap Test Stand can be used with or without the Sound Enclosure Cabinet. 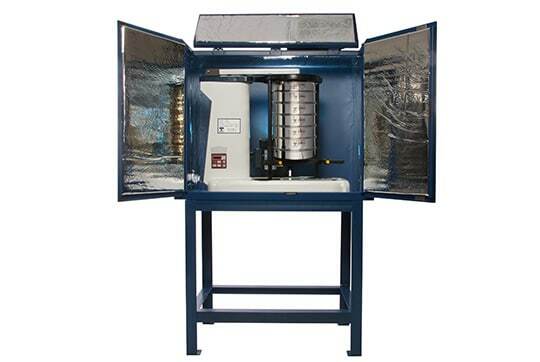 Allows for relatively fast, simple installation and set-up of the Ro-Tap Sieve Shaker. Attractive, sturdy steel construction, with anchorbrackets for fastening to floor or foundation. Allows for optimal use of available laboratory space dedicated to test sieving. 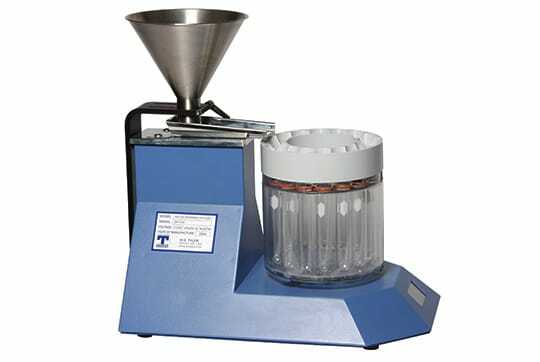 RX-20 Rotary Sifter offers classic design and efficient operation in an economical package. A proven sieving method preferred by many DOTs, based on a popular design developed many years ago. The Rotary Sifter offers a faster conversion from 8-12 inch or 200-300mm diameter sieves. 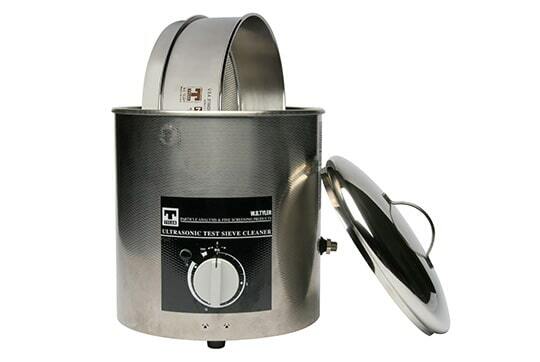 The sieve stack capacity ranges from six 12 inch diameter full height sieves with pan or up to twenty 8 inch diameter half-height sieves with pan. The totally enclosed cabinet allows safe, dust-free operation. Individual tapping hammers assist passage of near-size particles. The digital timer has an LED display which precisely times operation up to 99 minutes at +/- 1 second. The system is driven by a 1/3hp continuous-duty motor. Produces ultrasonic vibrations in a cleaning fluid bath, which causes contaminants to become dislodged from both sieve frame and media. For use with W.S. Tyler Ro-Tap RX-29 and RX-94 Sieve Shakers. * Test Sieving Kit includes: Cover, Pan, Hoses, Clamps. Reduces or halves material samples for making sieve tests. The Splitters maintain representative particle size distribution while reducing the original sample size. w/14 1/2" Discharge Chutes 1/8"
w/16 1/2" Discharge Chutes 1/4"
The RX-230 Spinning Riffler uses a vibratory feeder to provide a constant flow of material from the stainless steel hopper. The vibrating feeder then feeds the sampling tubes from 1 to 16 individual samples. Each sample can then be capped and stored immediately, with minimal handling and little chance for outside contamination. Spin riffling is the method of choice for sampling accuracy and reliability for dry, free flowing particles. This unit will virtually eliminate operator error and bias associated with other types of sampling devices. 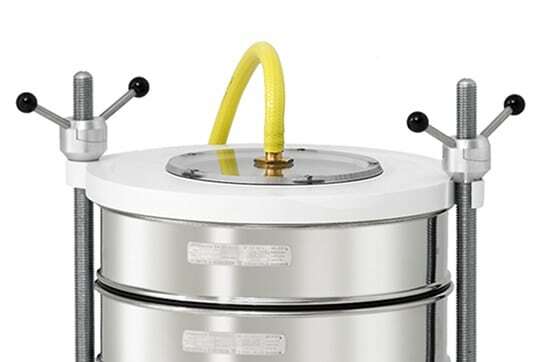 The RX-230 Spinning Riffler includes a sixteen-port dividing head, a set of sixteen standard tube sample vessels, a sample drum to contain the vessels and a hopper plate for positioning the vessels in the drum. All of these parts are available as replacement parts. RX-230 13" wide x 20 1/2" deep x 23" high 25 lbs.